The wisdom of the crowd says I’m wrong about the Roost Smart Battery. When I wrote about this product the day it was announced, I said the value of a smoke-alarm battery with an embedded Wi-Fi chip was eclipsed by another product—the Leeo Smart Alert Nightlight—that was announced the very same day. Roost launched a Kickstarter campaign to raise $50,000 to develop and manufacture its smart battery. The company has exceeded its goal by 42 percent and the campaign still has 27 days to go. As I reported in that first story, Roost’s founders—CEO Roel Peeters and CTO James Blackwell—clearly know their stuff. They each have 20 years of experience designing and building low-power Wi-Fi and Bluetooth chips. Operating anything Wi-Fi on a battery is an extreme challenge because the standard never envisioned anything other than relying on a steady stream of AC power. The Roost Smart Battery sends an alert to your smartphone when the smoke alarm goes off and before it starts chirping in advance of the battery's failure. In case you’re not familiar with the Roost Smart Battery, here’s a recap: It’s a 9-volt battery for your smoke alarm that has an embedded Wi-Fi enabled sensor that can detect when the smoke alarm goes off. The battery will send push notifications to a smartphone app when the alarm goes off, which is fabulous if a fire breaks out when you’re away from home. Push one button in the app to call your local fire department. The Roost has a convenience feature that’s equally appealing: It will send a push notification that the battery needs to be replaced weeks before the battery’s reserve power falls below the threshold that causes the smoke alarm to start chirping. The thought of not waking in the wee hours to that annoying and difficult to isolate chirp (which of my #@*&! five smoke detectors is chirping?!) holds tremendous appeal. 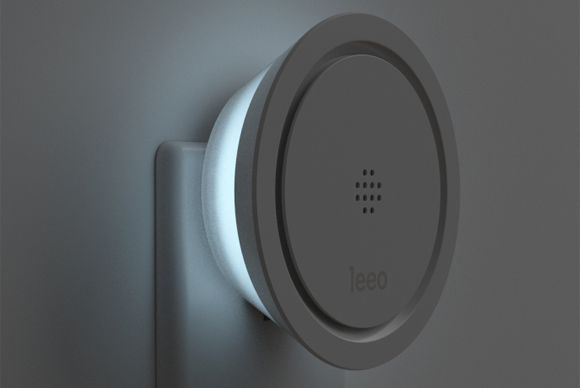 The Leeo Smart Alert Nightlight will also let you know when your smoke alarm goes off. And since most homes have more than one smoke alarm, you can pair each battery to the app and give it a unique name. 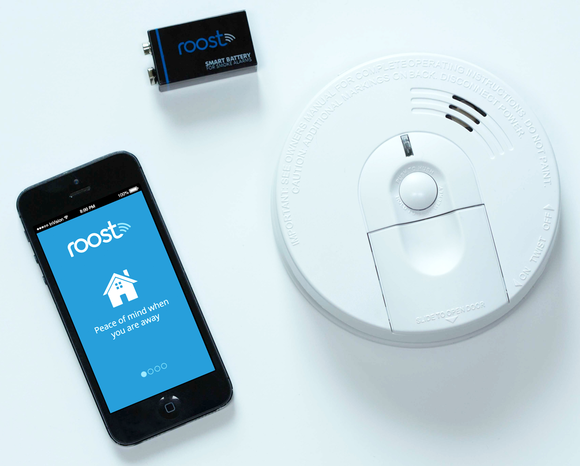 In installations where the smoke detector is connected to your home’s electrical wiring, the Roost will function as a backup battery. 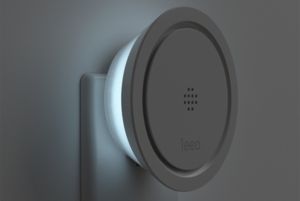 I still think the Leeo is the better idea: The $99 device plugs into an AC outlet, listens for the sound of your smoke alarm or carbon-monoxide detector going off, and sends a message to your smartphone. You can buy one today. The Roost is a $35 disposable battery with an estimated five-year lifespan that won’t be available until June. As I reported in my review of the Leeo, it registered several false alarms in the first few days after I installed it (I’ve had only one in the month since then). But you know what they say about opinions: They resemble a certain orifice and everyone has one.